Wealden now stock STC lip and spur drills and chucks for mounting in CNC and multi-boring machines. 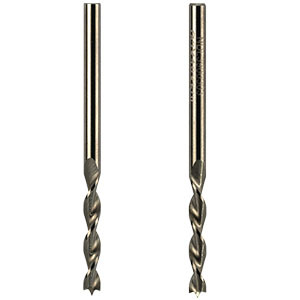 The solid tungsten carbide drills are in small sizes for drilling in abrasive timber and man-made boards, the lip and spur point ensuring a clean entry cut. The drills are available in either right or left hand rotation. 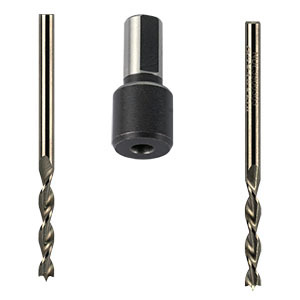 The chucks are available in various sizes to suit the drill diameter. Drills and chucks are available to buy online at the Wealden website.